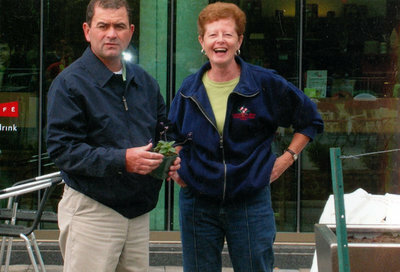 A colour photograph of Bill Galbraith, Superintendent of Operations for the Town of Whitby, and Sue Green during Communities in Bloom, a civic beautification program. Communities in Bloom, Date Unknown, Photographer Unknown. Whitby Archives A2013_042_005.